As I am getting out of my car and headed to the elevators I thought I share my US NFP prediction for today’s report which is due to be reported at 1430 hours CET. It is a nice day in Monte Carlo and I tend to take Friday’s a bit easier in order to get my weekend started on a positive tone. Of course there are exceptions and while we do not trade news releases, I throw out my prediction out there just like those who call themselves accurate economic report forecasters. When it comes to economic reports, the best thing anyone can do is to take an educated guess as there is no way to accurately predict the number. Financial markets react right away based on the number and how big the positive or negative surprise was, while a number around consensus does not really move financial markets either way. 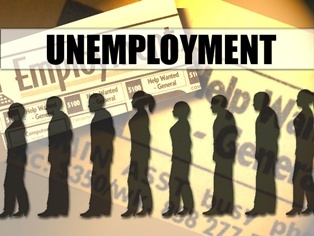 I think we will see an uptick in the unemployment rate to 7.5% (it really does not matter if it remains at 7.4%, drops down to 7.3% or increases to 7.5%) while the headline number will come in between 160,000 and 180,000 with downward revisions to the previous two months. I also expect equity markets to sell-off and the US Dollar to weaken across major currency pairs. Watch out for a spike in volatility both in equity markets as well as forex markets. I am looking for the AUDUSD to breakout above 0.9200 while the EURUSD should reverse its corrective course and rally off of sound support levels. 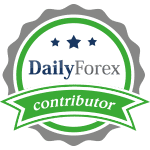 The GBPUSD is interesting as it has rallied into solid resistance levels, but today’s NFP report will add negative pressures on the USD which could cause the GBPUSD to spike before correcting. I am also keeping an eye out for the EURGBP as dovish statements out of the ECB caused a nice correction into good support levels.